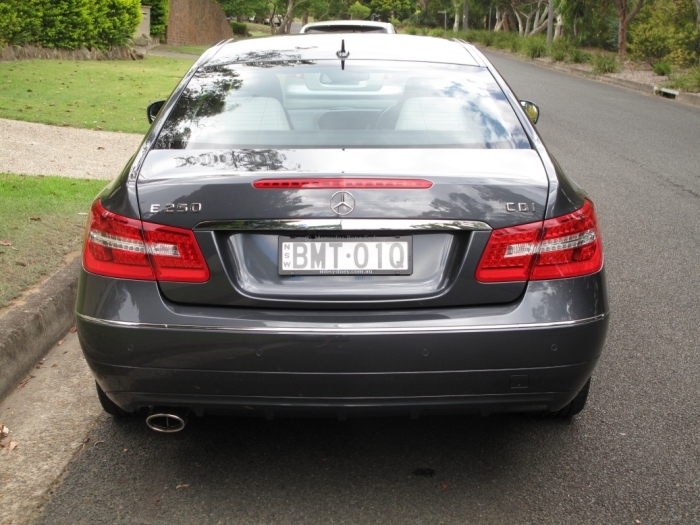 The other day someone posted an enquiry about Australian specked E Coupes. 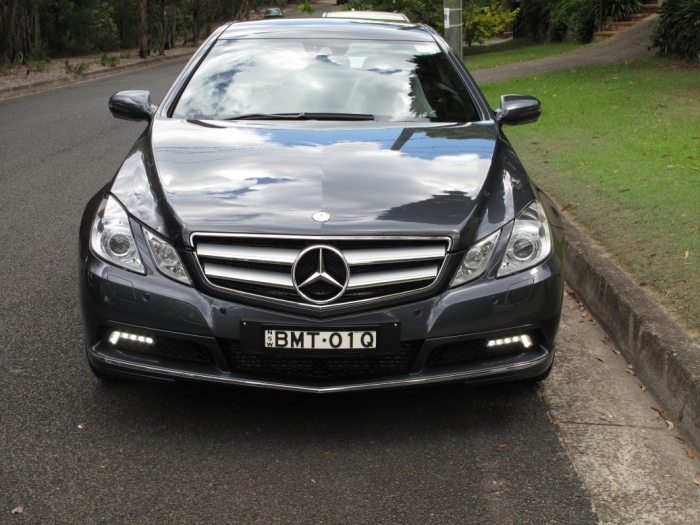 Took delivery yesterday of an E 250 CDI. Here in OZ our spec is different to the UK and USA vehicles. We have “Elegance” and “Avantgarde” interiors. 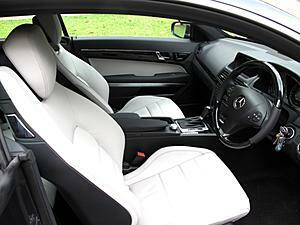 My vehicle is an Avantgarde with black ash wood (Rather then brushed aluminium) and Alpaca Grey leather seats. The vehicle colour is Tenorite grey. Although there is only 80km on the clock, I am so impressed with the torque and power of this 2.2l turbo diesel engine. In my view, better value much then E350 at some AU$30K more. My vehicle is standard with only folding mirrors, wood steering wheel and reverse camera added as extra. 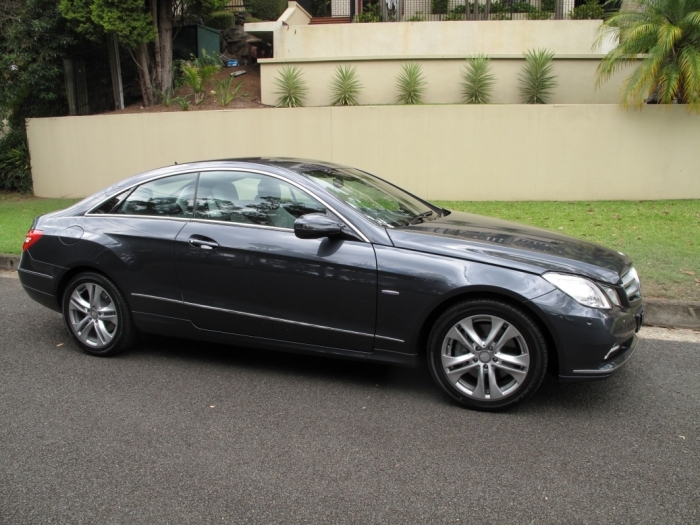 All vehicles in Australia come with Command APS, Nav, memory seats and leather. Metallic was also an extra cost. Those seats look almost white - I like it. Good looking car. If you would be so kind, could you snap and post a photograph of the inside of the area under the roller door on the center console? I hope you will keep those clean at all time. Hi YYZ-E55, not sure what you want a photo of. 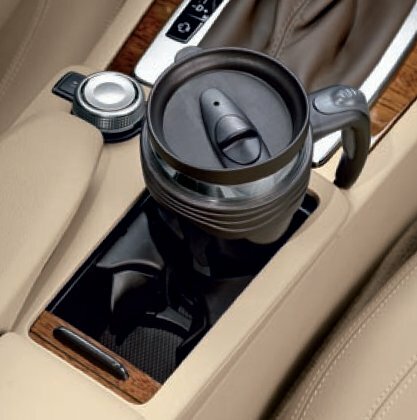 There is a cup holder (Or rather it is a bin with two small clamps making it a double cup holder> under the roller door. It is not like the USA model. Thest clamps can be removed making the area one larger bin, great for sunglasses. Last edited by Plang1; 02-07-2010 at 12:47 AM. That is exactly what I would like a photo of, if possible. Thank you!! Obviously my car is right hand drive. Last edited by Plang1; 02-07-2010 at 05:47 PM.